I have just read John Guzlowski’s blog posting about, as he puts it in an email, “how I liked the writer [Ayn] Rand when I was a college student and then didn’t.” The essay is brief and eloquent; I would encourage you to read it at http://everythings-jake.blogspot.com/2012/08/who-is-ayn-rand_15.html. 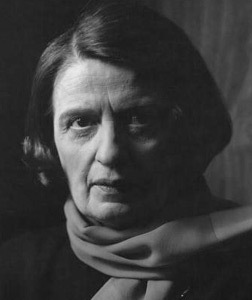 I myself have not read Ayn Rand, though with all the talk recently even before the Paul Ryan Vice-Presidential nomination I have often considered that I ought to acquaint myself first-hand with Atlas Shrugged, the title usually mentioned. 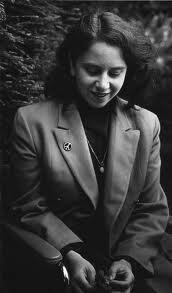 Though already I have read enough summations of her work – of which John’s elegant narrative of reconsideration is at least one of the best – to know that I concur with his later feeling that her message of ruthless individualism, if I may roughly paraphrase, negates our supposed Judeo-Christian ethic of community and concern for others. But don’t let what I say get in the way of reading John’s posting for yourselves. It won’t take but a moment and will leave you at least the nourishment of food for thought. Both of these men are former colleagues in the editorial labor at New Works Review, and both have old or new books out in new Kindle editions. Their work is also highly readable and of deep literary merit. 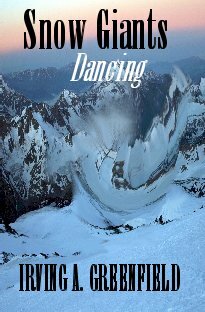 I have just read Irving A. Greenfield’s Snow Giants Dancing, whose 2012 electronic edition with Blueberry Lane Books is a first edition http://www.amazon.com/Snow-Giants-Dancing-ebook/dp/B0089SM22E/ref=sr_1_fkmr0_1?ie=UTF8&qid=1344966537&sr=8-1-fkmr0&keywords=Snow+Giants+Dancing%2C+Irv+Greenfield. His other new e-book, from the same publisher, is Ancient of Days: The Chronicles of Ronstrom the Builder, which spent six weeks on the bestseller list in its original 1973 incarnation. His book Tagget, not available yet in an e-edition, became a made-for-TV movie starring Daniel J. Travanti. And this scarcely scratches the surface of his prolific literary production over the years. Snow Giants Dancing, in its estimated 166 pages, is a swift read with an out-sized moral and emotional impact. Its dramatic ending, which I will not give away, left me rather stunned and emotionally drained, yet perfectly satisfied as a reader interacting with a text: the ending is, simply, what it had to be. The setting is a vaguely medieval period and purely fictitious isolated village high in some snowy mountain range, but there are enough historical markers to Catholic Rome and Crusades, Jews and Gypsies and such, as to ground it in a convincingly historical context. In this village evil has taken root and the inhabitants and Nature itself are expecting some catastrophe involving death; the fear and the hysteria are symbolized by the swirl of snow and ice that presents the sign or illusion of dancing snow giants which, according to pagan legend, have always prophesied forthcoming death. Stirred up by the hatred and bigotry of a trio of religious zealots or posers, it is most all the town (minus one good Christian family) against Chayym the local Jew, his beautiful and sensuous daughter Shulamith, and the also marginalized and embittered sculptor who is her lover. The story is timeless but its portrait of intolerance bolstered by a thin layer of piety seems painfully prescient of our own times in which a separation of Church and State seems ever more precarious, and intolerance and real and potential violence ever-present. Michael Corrigan’s newly published Kindle books are 2011 editions of his “minor cult classic” (as I seem to recall someone writing) of a fictionalized memoir Confessions of a Shanty Irishman, and his more recent and wholly un-fictional memoir A Year and a Day: Journal of Grief, inspired (if that is the word) by the sudden death of the love of his life Karen, his wife of too few years. Confessions of a Shanty Irishman http://www.amazon.com/Confessions-Shanty-Irishman-ebook/dp/B004KABB5E/ref=sr_1_1?s=digital-text&ie=UTF8&qid=1344966686&sr=1-1&keywords=Confessions+of+a+Shanty+Irishman%2C+Michael+Corrigan begins with a charming portrait of the grandparents who helped his dad to raise him and of his growing disenchantment, after their death, with both his now-and-again present mother and the rigors and hypocrisies of a Jesuit schooling; and later of his intellectual and sexual adventures through the ‘60s, as well as his drinking troubles and passing activism during the California campus troubles of that revolutionary era. It ends appropriately enough with his settling down and marrying his beloved Karen, which marked an end to the years of dissipation and malaise. A Year and a Day http://www.amazon.com/s/ref=nb_sb_noss?url=search-alias%3Ddigital-text&field-keywords=A+Year+and+a+Day%2C+Michael+Corrigan is an invaluable record of loss that might be read profitably by anyone facing such a crisis. It begins with this very appropriate epigraph, from Samuel Beckett: “I can’t go on, I’ll go on”; the book’s great strength is that, rather than press any one-size-fits-all self-help solution to grief, it simply shows – with brutal and cleansing honesty – the slow progress, over the Irish people’s traditional year and a day of mourning, of a particular man and a particular grief. Here is an excerpt from Confessions of a Shanty Irishman: “On the way home, Grandfather described the three breeds of Irishmen: Lace Curtain for the well off, Shanty Irish for the working class, and the extremely rich Micks called Two Toilet Irish. 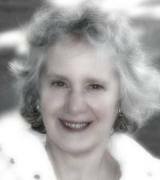 Indeed, Lynn – whose book Spectral Freedoms earned her a 2009 nomination for the Pulitzer Prize in poetry; and whom I had the distinct honor of editing during my brief stint at New Works Review – does have an extremely inventive, original style and lends to her work a charismatic moral force that well justify the comparison. 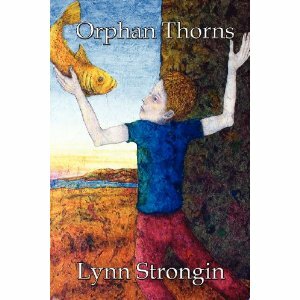 And this year she has two new books to add to her considerable ouvre: Orphan Thorns, published by Albuquerque’s JB Stillwater Publishing; and Bread of the Angels, published by the Ravenna Press. Orphan Thorns (http://www.casadesnapdragon.com/Books/Orphan_Thorns), on which I will focus most particularly, bills itself as a novel in verse. It is a novel not so much in the traditional sense: there is no clear narrative arc; present and past moments tend to merge in a seemingly random and indistinct chronology; the voices and characters remain vaguely defined, though one voice and personality does stand out as the organizing presence on which all is held together. 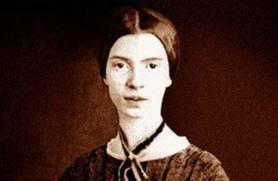 Still, the protagonist’s and her peripheral characters’ time does clearly enough span the years from childhood to advancing age; and the coherence of theme and the concrete images that ground the work in time and space do justify the larger poem’s designation as a sort of impressionistic and experimental poetic novel. Both Orphan Thorns and Bread of the Angels draw on a common thread of thematic and contextual experience. Most prominent is Lynn’s childhood acquaintance, as a victim of the post-WWII polio epidemic, of hospital wards and their young inhabitants, whether suffering from polio or some form of cancer or something else. Certainly a great portion if not all of her poetry is imbued with a consciousness of that personal and collective trauma, but in no way does this constant reduce the poetry to just another trite account of illness and overcoming. This poetry’s scope is universal in every way, encompassing the fruits of war in Europe and the growing environmental crisis from clear-cutting of mountain tops in the United States to Japan’s nuclear tragedy and recent meltdown. To pleasure us against coarse linen with numbers like the blue numbers injected under the Jews’ skin. By the century that dug the graves. One thing that strikes me here is the allusion to Christ (the age is left unspoken, but likely corresponds to the narrator’s age of 12 when she went to hospital as stated in other poems), a Christ linked immediately to the tragedy of the Holocaust, with further allusions further into the poem. The suggested likeness of Christ’s suffering (at least as a type) to these other sufferers is developed in other poems as well, perhaps most explicitly in this passage: “Savior: Our savior, the one who has kissed the floors of the asylum, known the salt of its air. I feel your struggle as a hospitalized child but I too carried the whole bloody thing further and further I respect you to bloody hell to Jesus …” (p. 63). Striking here, besides the deliberately antiquated reverse syntax of “does down upon us shine” (which lends an appropriate bit of Biblical feel), is the enjambment (I believe I am using the term correctly) of the two parts, minus the apostrophe, of what I understand as the possessive God’s. By setting the God at the end of one line, followed by the stray s and light immediately thereafter, the reader is forced to pause on that altered syntax and absorb the surprise of form and meaning. She does similar things with an n in substitution for and – and there are other optical tricks that sometimes require an extended double-take, some of which I have yet to figure out. The only problem with that, and one hardly worth mentioning, is that sometimes it becomes hard to distinguish between imaginative flourish and the errant typographical error. For example, is the ne in “a gem: ne in a million” intended to read one? and what about the hr in “Here is a raggedy string bear from the end of time: / child must have dropped him hr the slats in the merry go round / floor”? It occurs to me as I write that the hr, if intentional, could abbreviate her given the indeterminate gender of the bear, or just as well the poet’s customarily abbreviated thru: perhaps she means to suggest both? In any case, this is a minor quibble amidst such majestic and powerful work; and I must keep in mind that I have read both texts in a draft or final proof version. In any case there exists in Lynn Strongin’s poetry a great deal of sheer beauty and childish delight. Consider the simple sensuous pleasure of wordplays like “Rodents tunnel deeper runnel thru it,” for example, and “keep your troth bring froth / flower uncouth”; and, in poetry so rich in literary and artistic allusion of all sorts, name deformations like “Gertrude Stun” for Stein [slant rhyme with own end of next line], and, later “Friday [for Frida] Kahlo” – the pair of allusions to the great Mexican artist that I remember are highly appropriate, and at least once explicitly so, given her own life-long struggle with pain. The ruby or the mown down, renowned, rising phoenix from the fire. I also cannot resist pointing out the wordplay and slant rhyming in both passages, as between shinning and shining; mown and the pure-rhyming pair down / renowned; and thrown and thorn. your bed on your back. I have been thinking about Lynn Strongin’s poems and wondering how profitably they might be read by high school students. While not for the weaker readers or the least mature, I think very profitably indeed for older ones, at least, perhaps girls more than boys though that is a pity, in particular, boys or girls, those with a certain sensibility to the suffering of others. There are happier notes from Bread of the Angels that I might close with, but there are none truer to contemporary human experience.